1020 N Marshfield Ave. Chicago. 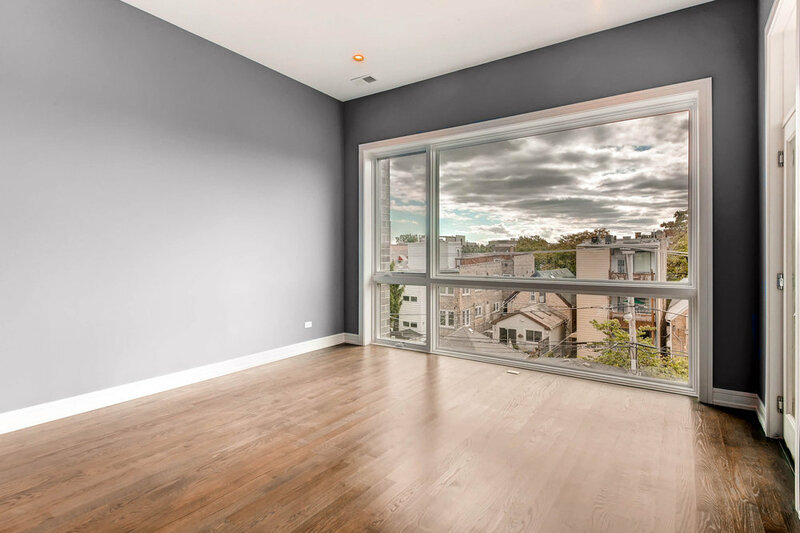 New construction condos for sale in West Town, Ukrainian Village, Wicker Park, Bucktown. 1020 N Marshfield is comprised of four condominium homes, all with three bedrooms. 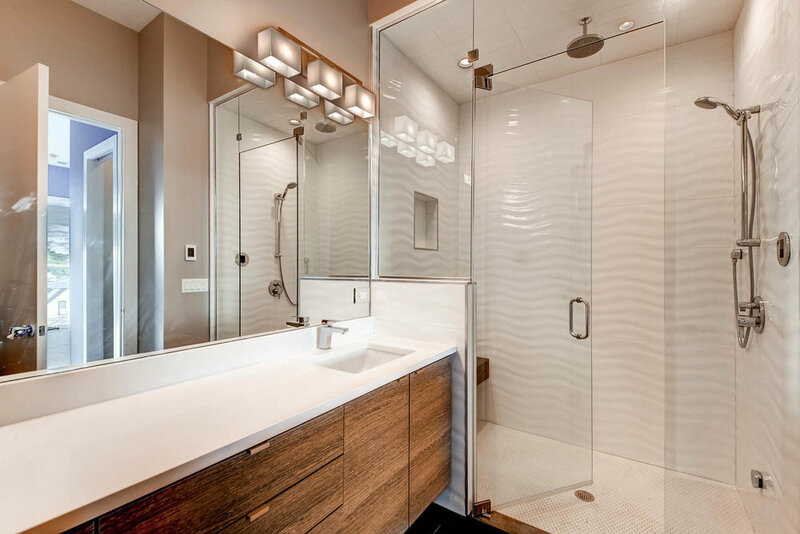 Built as a showpiece property on a 36' wide lot, these wide floor plan units cater the demands of today's urban dwellers. 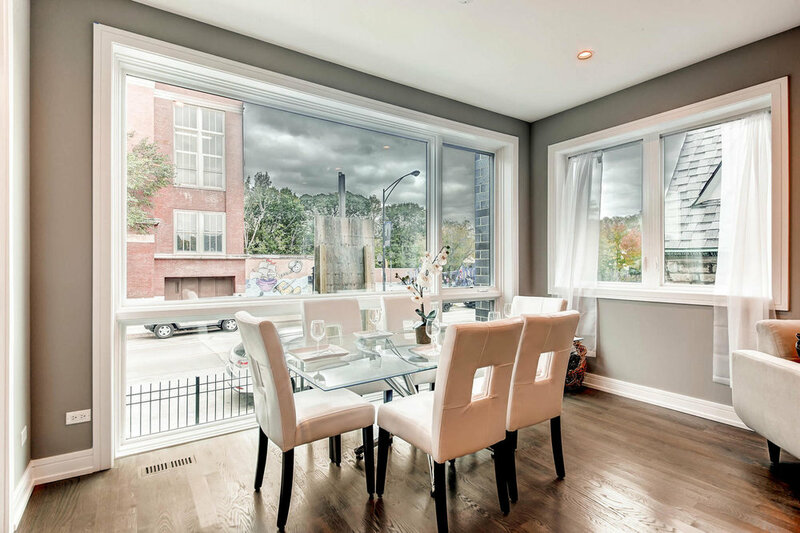 The property is located in Chicago's West Town neighborhood, just south of the vibrant restaurant scene on Division Street and within walking distance to public transportation on Milwaukee Ave. (CTA Blue Line). 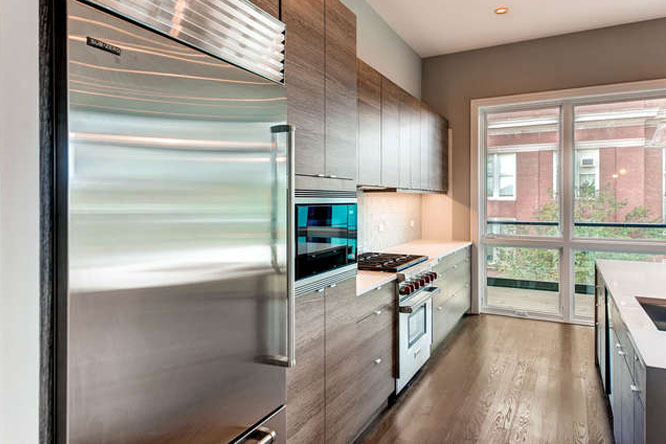 Complete with today's In-Demand finishes, the homes at 1020 N Marshfield are sure to please. Wide floor plans allow for comfortable room configurations. 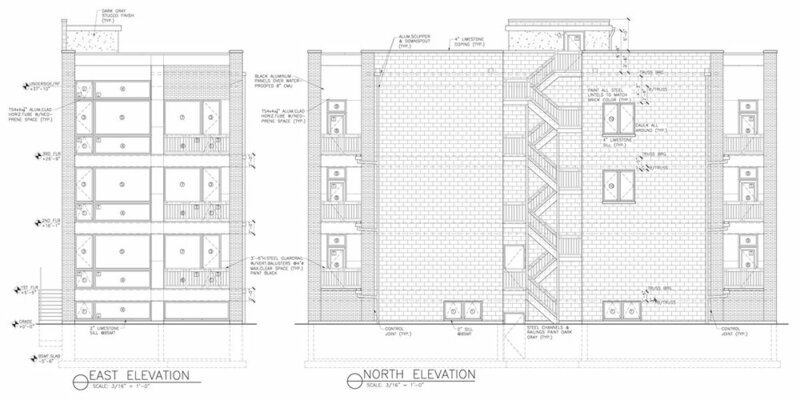 All units have generous outdoor space, some with front and rear balconies and roof decks. Choose from the developer's pre-selected design packages or add your own touches to the kitchens and baths. First floor (front) duplex down features 3 bedrooms and 2.5 baths on 2-levels. Main floor open living concept with living room / dining room / kitchen and front balcony. Lower level with 3 bedrooms and 2 full baths, including the master bedroom en suite bath. Full lower level equipped with radiant heated floors (minus utility closets). First floor (rear) duplex down features 3 bedrooms and 2.5 baths on 2-levels. Main floor open living concept with living room / dining room / kitchen and rear balcony. Lower level with 3 bedrooms and 2 full baths, including the master bedroom en suite bath. Full lower level equipped with radiant heated floors (minus utility closets). The second floor unit is a full floor unit with a front balcony off the living room and rear balcony off the master bedroom. This unit has 3 bedrooms and 2 full baths, hardwood floor throughout the living area and bedrooms, heated floors in master bath and large picture windows in the master bedroom. Top floor (penthouse level) with 3 bedrooms and 2 full baths. Tall 10' + ceiling height throughout. 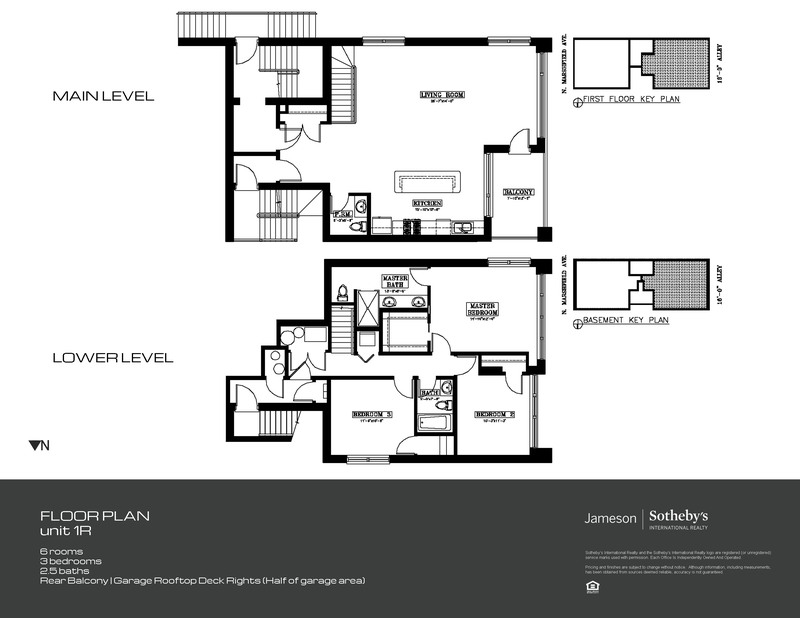 Full floor unit with a front balcony off the living room and rear balcony off the master bedroom. Hardwood floor throughout the living area and bedrooms, heated floors in master bath and large picture windows in the master bedroom. Exclusive building roof deck rights, finished with pressure treated lumber and equipped with electric, gas, water and wired for audio. Located just northwest of the Chicago Loop, West Town is a collection of several neighborhood districts with lower density housing. 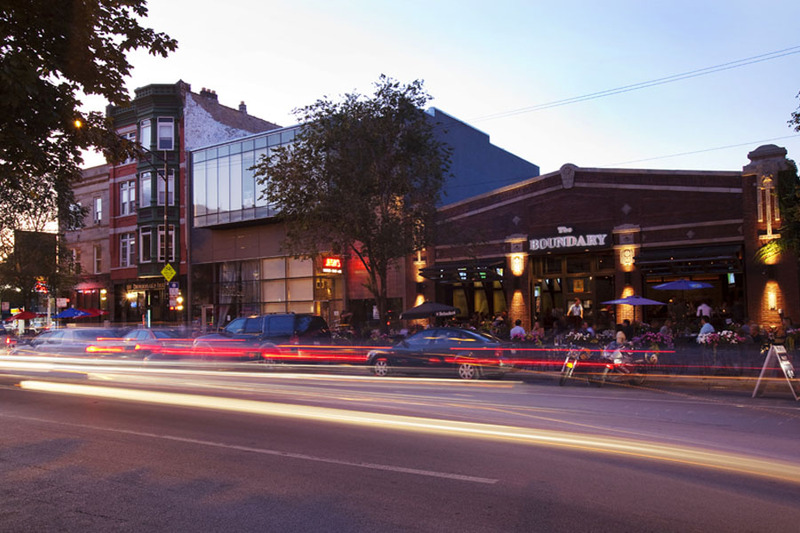 The area on Division Street, between Ashland Blvd and Damen Ave has become very popular over the years and is a hot spot for restaurants, bars and shopping. 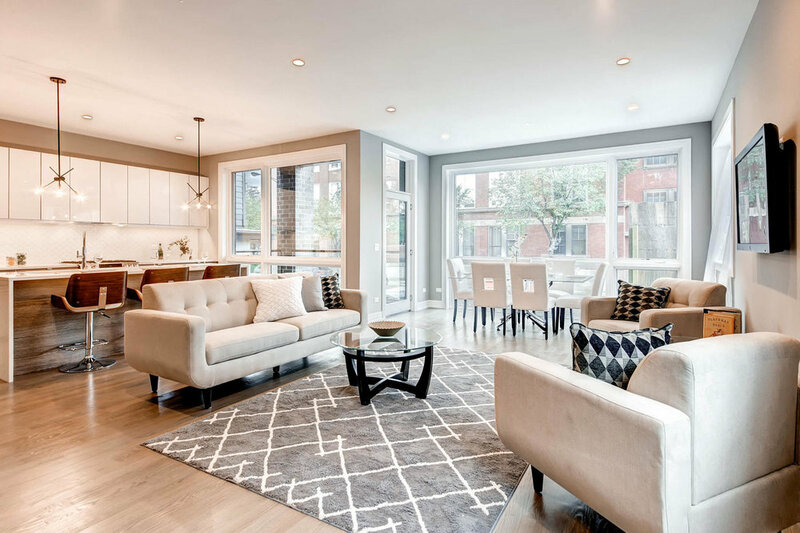 The close proximity to the CBD, convenient access to public transportation and walkable neighborhood streets, makes West Town one of the best areas in Chicago.